Use one of these free DIY dresser plans to build a beautiful dresser or chest that will add a whole new layer of style to your room. There are quite a few free dresser plans here that range in the number of drawers, different drawer sizes, different widths, and different heights. You're sure to find the perfect plan for your room or a loved one's room. All the free dresser plans include diagrams, step-by-step building instructions, photos, and material lists to help get you started. The wide range of plans makes this project a good choice for an intermediate or advanced woodworker. You can find lists of other free woodworking plans too, such as ones that show you how to build a bed, platform bed, bunk bed, nightstand, desk, entertainment center, picnic table, bookcase, headboard, house, shed, shelf, farmhouse table, kitchen island, workbench, coffee table, wine rack, dog house, home bar, deck, router table, playhouse, birdhouse, Little Free Library, deer stand, cabin, and jewelry box, as well as projects that take advantage of unused pallets. This is a free dresser plan that shows how to build an 11 drawer dresser - that's with eight regular drawers and then three smaller ones at the very top. The dresser stands over 3.5 feet from the ground and is over 5 feet wide. This whole woodworking plan can be downloaded as a 21 page PDF file. The first couple pages include a list of all the materials you'll need plus the tools and items that must be cut to make the dresser. The other pages in this plan are the step by step instructions, each with detailed drawings and dimensions. The House of Wood also has this 8 drawer plan that is a very similar dresser but without the top three drawers. Ana White has a free, easy to follow plan for building this dresser from Sew Woodsy. The dresser will end up standing over 2.5 feet tall and 4.5 feet wide, with seven drawers that each sit around 15 inches deep. I like this plan because it's not at all difficult to follow. The steps are clear and easy to read, and each of them have a large illustration of that particular step so you know exactly what you're supposed to do. A full shopping list and cut list is shown before the steps start so you know exactly what you'll need to complete the entire dresser. Shanty 2 Chic has a DIY dresser plan that uses wheels and hardware to really make the wood stand out. The free plans include general instructions, a cut list, a materials list, diagrams, photos, and tips. Addicted 2 DIY has a free dresser plan that builds a beautiful rustic dresser with 6 smaller drawers and a large cabinet in the center. There's a lot of detail included in this free plan including a ​PDF download of the project with all the details and even a video on how to build it. Ana White has another free dresser plan that describes building this interesting dresser from Shanty 2 Chic. The dresser is 48 inches wide and stands over 26 inches off the floor. There's a door and five drawers in this dresser, and it's put on wheels for easy moving. Much like Ana's other dresser plan, she lists out all the necessary materials that you'll need to build it, including a list detailing the required cuts that must be made to create the dresser. This dresser is actually part of Shanty 2 Chic's dresser bed plan, but it can instead be built apart from the bed for a standalone dresser. You get to see both real construction pictures and detailed illustrations in this plan. The illustrations are in this PDF file, where you'll be shown all the specific dimensions for all the pieces that make up the dresser. Plus, they're color-coded for easy reading. I like the free dresser plan at Rod's Woodworking Shop because all four drawers are the exact same size, making it a rather simple build. You can see exactly what tools and materials you'll need to construct this dresser before you even start. This includes everything, like a screw gun, tape measure, pencil, sandpaper, etc. Rod's Woodworking Shop's dresser is 40 inches wide and stands a little over 48 inches tall. Illustrations and step by step instructions make it pretty easy to understand how to build. Here's a free DIY dresser plan that builds a 5-drawer dresser and gives you the option of adding a changing table to the top, making it a must-have for a nursery. As part of this free plan, you get a materials list, cut list, cutting diagrams, step-by-step building directions, diagrams, and color photos. Designs by Studio C has this dresser that has just four drawers - two smaller ones side by side on the top, and then two larger ones below. The dresser is 34 inches tall, 35 inches wide, and sits 16.5 inches away from the wall. Refer to the lumber and cut list to understand all the parts that make up the dresser. There's also a short list of materials you'll need, like cabinet pulls and drawer slides. I like Designs by Studio C's plans because the portion of the construction process that's referred to in each step is highlighted a certain color so it really stands out and is easier to understand. Another free dresser plan is offered up through HowToSpecialist. This one has two doors on the bottom and two regular dresser drawers on top. HowToSpecialist's free woodworking plans are put together very well, and this dresser is no exception. I like that that everything is marked with a color and letter, which are then referred to throughout the steps and illustrations. It makes it much easier to follow directions. This dresser is a bit over 40 inches tall and 44 inches wide. This is a unique dresser because while it has the regular enclosed spaces for drawers, it also has an open shelf below the top. It should be a breeze to follow along with these instructions because the cut list is alphabetized and referred to throughout the steps. Also, the illustrations of the building process is color-coded to make specific steps stand out among the other pieces of the dresser. In addition to the cut list is a list of tools that are needed. Another free dresser plan comes from The Design Confidential. This one is 57 inches wide with six drawers that have notches cut out for the handles. The Design Confidential's dresser plan explains how much lumber you'll need, what needs to be cut, as well as all the required tools and materials (plus links to purchase them). 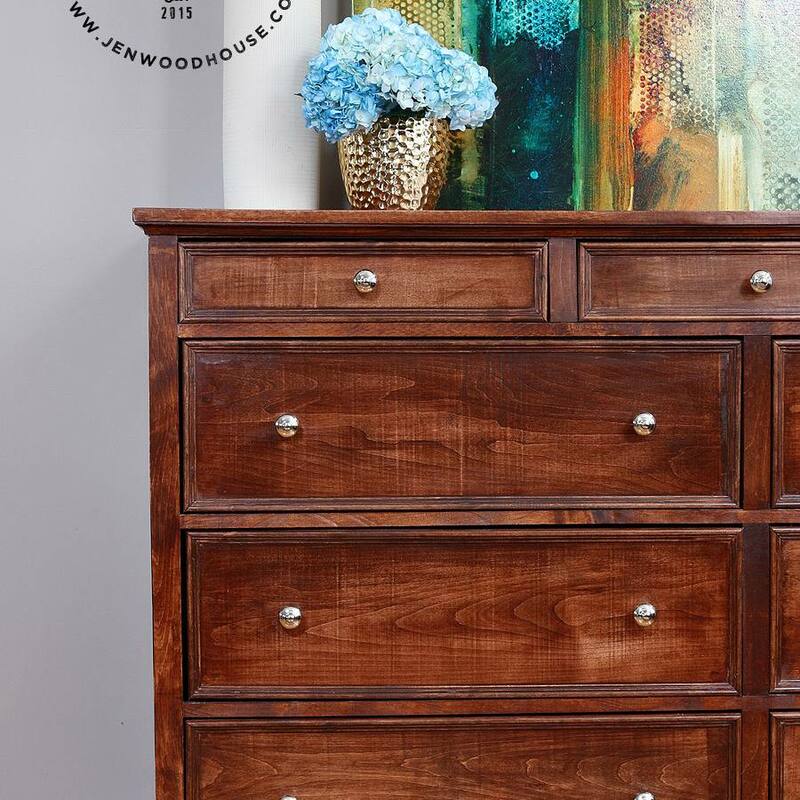 Like some of the plans from this list, this one is detailed and has high quality, up-close illustrations showing precise dimensions of each part of the dresser. Also from The Design Confidential, this free dresser plan is for building a dresser that has not only drawers but also shelves on either side. The estimated cost to build this dresser is from $100 to $150. There's no need to wonder what tools you need to build this dresser because they're all listed out for you. 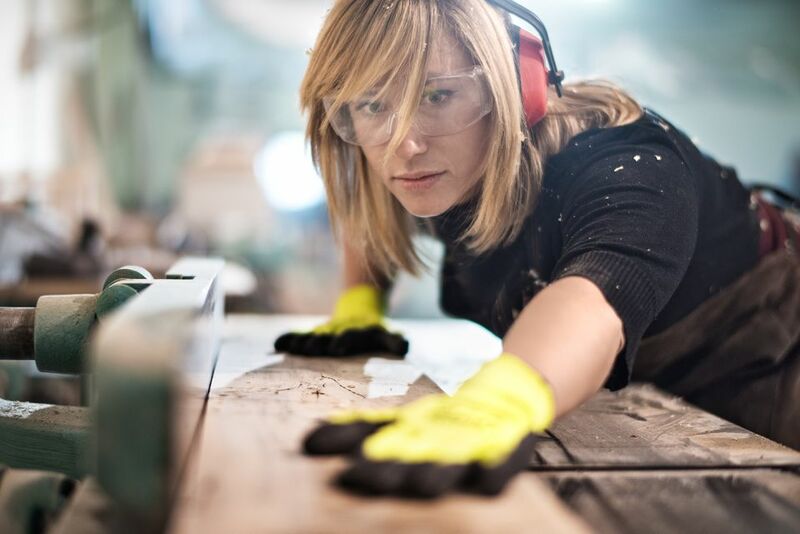 Also shown is a list of required materials like drawer knobs and nails, as well as a list detailing every part of the dresser that needs to be cut to size. Build a five drawer cherry dresser with this free plan from Popular Mechanics. A materials and cut list is shown so that you can gather all the materials before beginning. These steps aren't as detailed as the instructions you'll find in most of these other dresser plans, so this one may be a bit more difficult to build. This is another free dresser plan from Popular Mechanics that's for building a three drawer dresser. There's a lot of text that you must read in this plan because there aren't very many drawings or images. However, at the very bottom is an exploded view of all the pieces that make up the dresser, complete with reference letters to the included materials list.